In times of globalization and networking, the Internet of Things (IoT) plays an increasingly important role. Cisco Systems predicts about 50 billion connected devices worldwide until 2020. In the near future, nearly everything will be connected with the internet. 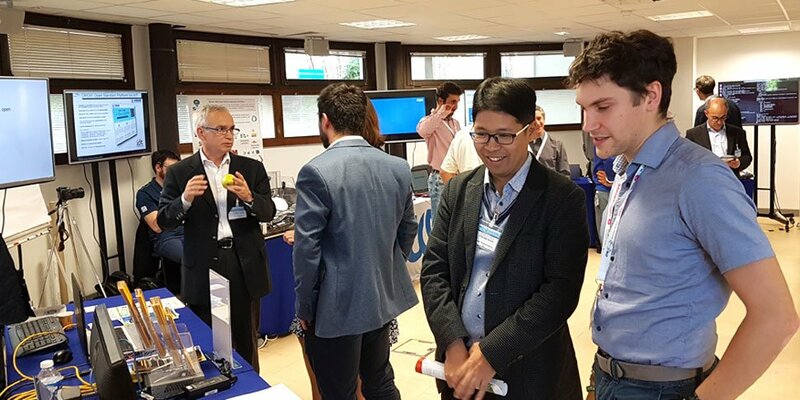 From October 23-26, the ETSI IoT Week 2017 took place in Sophia Antipolis, France. The visibility and positive feedback from the industry regarding the importance of developing the IoT-Testware, as well as the response to the emergence of the TST group, confirms the project team's strategy to begin coordinated activity with the Eclipse Foundation and ETSI at the same time.